These items will help you not only better prepare for installation, but ensure your equipment arrives at your facility with features ensuring it will operate the most efficiently in your plant environment. 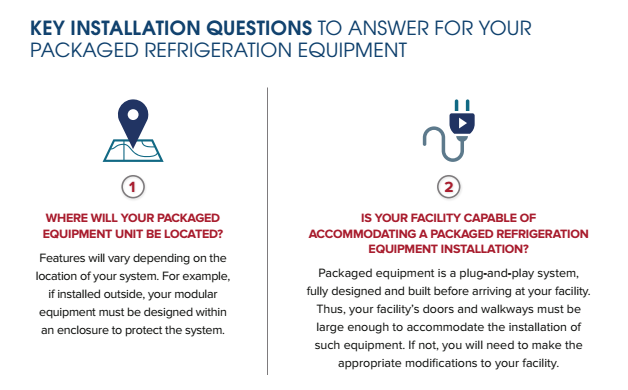 The infographic below contains two key questions to answer, dependent on unique features of your facility, including location and building design. 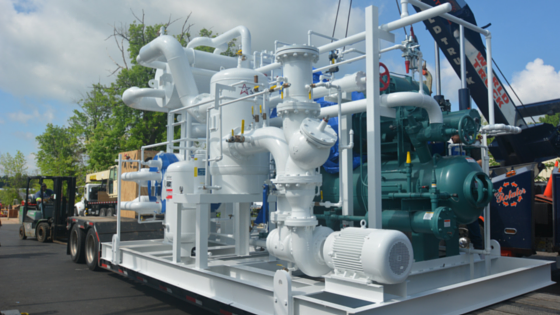 To learn more about packaged refrigeration equipment and how to prepare for an efficient installation process, download our Packaged Refrigeration Equipment Buyer’s Guide.